'Every cloud has a silver lining' to mean in every bad situation something good exists, even though it may not always be obvious. Despite losing the race, he's improved his fitness and gained more experience – so every cloud has a silver lining. Your boyfriend may have dumped you but think of the freedom you've got now – you see, every cloud has a silver lining! We say 'every cloud has a silver lining' to mean in every bad situation something good exists, even though it may not always be obvious. So in English you would say "every cloud has a silver lining". In Azeri we have a similar saying - Eyni güldən ilan zəhər, arı bal çəkər – which essentially means from the same flower, a snake would draw poison and a bee would draw honey. In English you say "every cloud has a silver lining". In Thai we have a similar phrase - ฟ้าหลังฝนย่อมสวยงามเสมอ – which means the sky is always beautiful after the rain. In English every cloud has a silver lining. In Swahili we say Baada ya dhiki faraja, which means at the end of a journey of turmoil there is relief or joy. 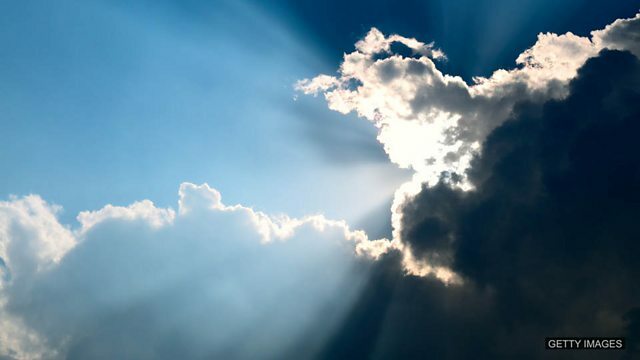 So, there are a few examples of 'every cloud has a silver lining' in other languages. What do you say? In Azeri - Eyni güldən ilan zəhər, arı bal çəkər – which means from the same flower, a snake would draw poison and a bee would draw honey. In Thai - ฟ้าหลังฝนย่อมสวยงามเสมอ – which means the sky is always beautiful after the rain. In Swahili - Baada ya dhiki faraja which means at the end of a journey of turmoil there is relief or joy. Has something good come from a bad situation? I was devastated when I lost my job but now I'm spending more time with my kids. Every cloud has a silver lining. I lost my wallet on holiday so we had to come home. It shows that every cloud has a silver lining. I went on a skiing holiday and broke my leg - but at least I met my future wife while I was in hospital. Every cloud does have a silver lining! I failed all my exams so I couldn't get the place I wanted at university. Every cloud has a silver lining.